We offer more than 10,000 hardware and DIY products, drawn from product ranges as diverse as ironmongery, fixings, fastenings, plumbing, electrical, gardening and more, all packed in the high-quality, eye-catching, space-efficient packaging that Bulk Hardware is renowned for. Click here to see the full list of more than 490 special offers! 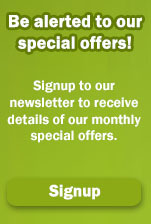 Look out for the special offer logo in the product listings. The Best for Gardening range has a great choice of quality garden accessories packed in colourful, clear, eye-catching packaging. By clicking "Subscribe" you are giving consent for Bulk Hardware to contact you regarding product news and latest offers. The 2019 Bulk Hardware catalogue is now available, featuring lots of new products and numerous improvements and revisions to our ranges. If you would like a copy then please contact our sales office or alternatively, download a PDF copy from here. We are constantly adding new products to our ranges. Click here to see the new products we have added recently.